Having an issue with your sewage lines is every York Region, ON homeowners worst nightmare! Call M.A.C. Stewart Plumbing at (705)7335154 and let our expert technicians put your mind at ease. There is no doubt about the fact that a homeowner’s greatest concern lies in the condition of what is probably one of their greatest investments, their home. The plumbing system is a major part of that home and can also be a serious liability. One of those systems that can lead to a substantial headache is the sewer system. If your home is in York Region, ON or the surrounding areas, and you’re suffering from a sewer line issue, call M.A.C. Stewart Plumbing today! Our fast and friendly staff can resolve your issue efficiently without breaking the bank! Don’t take our word for it. See what your neighbors are saying here! 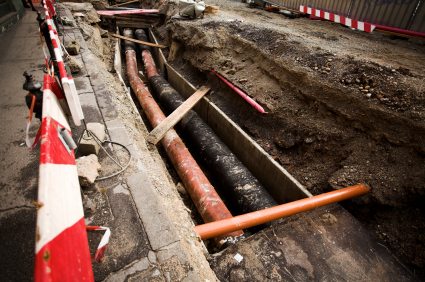 What Types of Damages Occur in Sewer Lines? As the plumbing in your home deteriorates from normal wear and tear, one of the plumbing sections that can become damaged is your sewer lines. Sewage lines can suffer from cracks, bursts, and leaks. This can result in the spilling of gallons of sewage water in your home, which can be a disgusting situations to say the least. Using our preventative maintenance can avoid many of these issues but once they occur it is important you seek our professional assistance. How Can Sewer Lines Be Inspected? There are multiple ways that sewage pipes can be inspected to determine if there is any damage. Cameras, visual inspections, pressure testing, is all used to determine whether or not the sewage pipe is in working condition. If you notice that your drains are not working as well as usual, then it may be time to have your sewage lines inspected. Our trained technicians can inspect the system and determine whether or not the drain lines to be cleaned today! How Can Your Sewage Lines Benefit From a Cleaning? There are any benefits to having your sewage lines cleaned. The main reason is the added benefit of having clean sewage lines. As the sewage lines in your home continue to drain waste they can become clogged. By cleaning them out you ensure they don’t build clogs or weak spots. Another added benefit of having cleaned sewage lines is that the water water leaving your home flows easier through a cleaned pipe thus making the process more efficient. At M.A.C. Stewart Plumbing we can assist you with safe sewer line cleaning services and ensure the best functionality from your system today! How Can M.A.C. Stewart Plumbing Help With Your Sewer Cleaning Services? At M.A.C. Stewart Plumbing our expert technicians are highly experienced in sewer cleaning services. We can inspect the system and check for clogs and build up. Once inspected they can give you an adequate course of action. Whether it needs to be cleaned because of excessive build up, or it needs to be completely repaired, our expert staff can provide you with the best services possible. We provide fast and friendly services to your home without breaking the bank! Don’t let a sewage issue catch you by surprise in your York Region home!